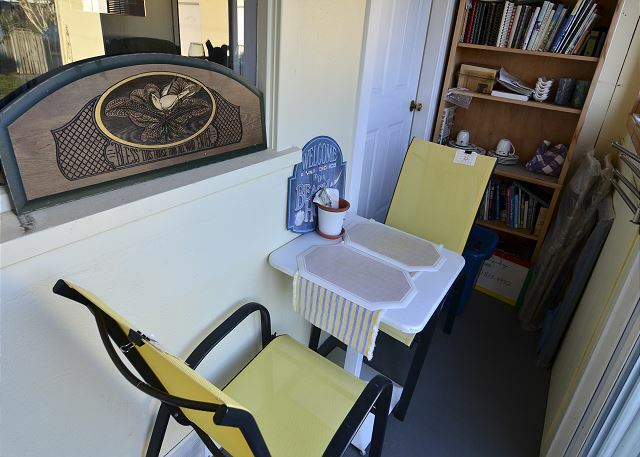 "C" Lily Cottage in Trinidad - This is a cozy, 2 Bedroom Cottage w/ nice yard, just a short walk to beaches, parks, museums, trails, cafes, wine tasting and shopping. Relax and hear the beach birds, ocean, seals, and the bell of the buoy! 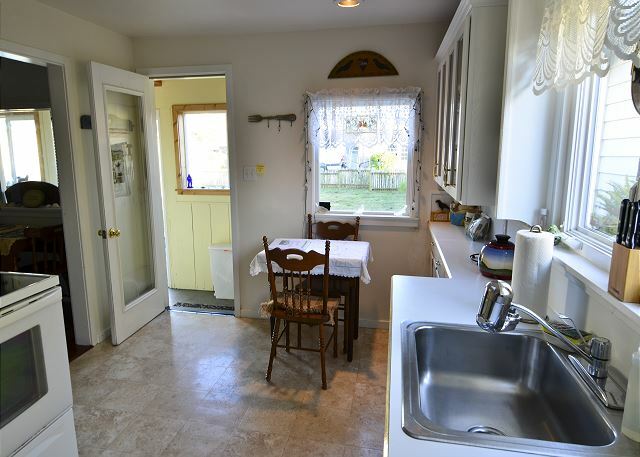 Cottage is comfortable, clean, and cute! Great for a couple with children. Located towards the end of a private, dead end drive adjacent to the bluff overlooking the ocean and beach. Charcoal BBQ, outside, private sitting area in fenced in yard. Great place to call home while you explore the beaches, sea life, parks, wildlife, hiking, kayaking and everything Trinidad and Humboldt County have to offer. Due to limited space, parking is restricted to two compact cars. There is no street parking. Due to the quiet street, noise disturbances are taken seriously, and we do provide foot patrol to ensure guest compliance. HSU graduation and all major holidays, Trinidad homes are monitored during quiet hours. At no time may any vacation home in Trinidad be rented for the intent or purpose of an event or party. Loved it. Be back next year for sure! Thank for taking the time to write a review of the C Lily Cottage. Can't wait to have you back! Great location for Trinidad... quaint with everything you might need...very quiet which is what the doctor ordered. Sara was a big help and a kind professional. The C lily cottage is a great little home for visiting Trinidad. I am glad the home was a good fit for you and it had just what you needed for visiting our area. Thank you so much for you recent stay and I hope you will visit us again soon. Awesome stay at the cottage! Great for our family of 4 with 2 young boys. Convenient to everything you want in Trinidad. Would def stay here again. Thanks for the review of the Clily Cottage. This is the perfect little home for visiting Trinidad. Walking distance to the store, shopping, food and beaches, makes it convenient. I am so glad to hear that it worked well for you and your family. We definitely look forward to having you back! The C lily cottage is such a cute little place; thank you for choosing this home and we are glad you found a place to call home while visiting the Trinidad area. We do very much hope you will return to stay with us again. The "Lily" cottage was perfect...cute, clean and comfortable. Overall the experience was great. It was easy to find the right rental and the communication I had with employees was great. They were all extremely helpful and accommodating. Thank you so much for choosing the C lily Cottage for your vacation and we hope you will visit us again. This is a perfect location to get away from the summer heat. The cottage is located in an ideal location with a short walk to beach and restaurants. The place is very clean. The neighborhood is quiet and is perfect getaway from the stresss of big city life. Our family had a rejuvenating time here. Thank You! 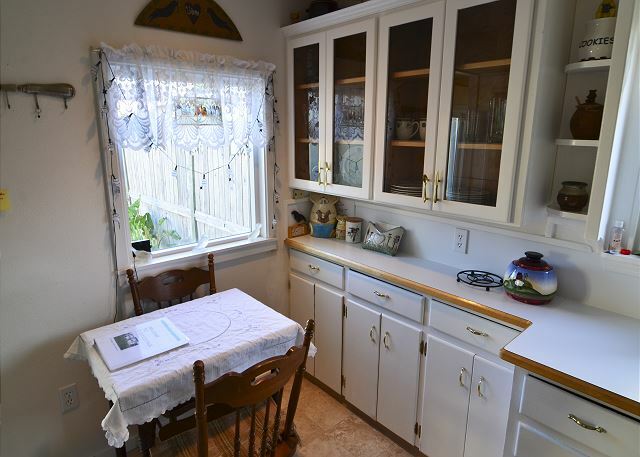 The C lily Cottage is such a charming little home. So glad to hear that you had a rejuvenating time here. We hope that we can accommodate you again in the future for many other family getaways. Worked 3 days at Humboldt State, and treated myself to two nights at Lily C. I loved the cottage and the town! Super cute and comfortable - would return in a heartbeat. Hopefully my wife can join me on the next trip. I would recommend to any couple looking for an affordable get away. Thank you for booking the C Lily Cottage and for choosing Redwood Coast Vacation Rentals, We hope we can accommodate you again in the future. Thank you for choosing the Clily Cottage and for booking with Redwood Coast Vacation Rentals. We hope you will return to visit us again soon. A friend and I stayed in C Lily Cottage while on a visit to the Redwoods in the State and National Parks between Trinidad and a little north of Orick. The cottage is a good size for two adults, though it may be a little small for four. The two bedrooms are separated by a closet but not by a full wall. Everything is clean and neat. The kitchen is functional. There is a musty odor in the house (likely because the house is so close to the ocean), but there is a dehumidifier in the house, and having the windows open for a few hours each evening freshened the air. The cottage is in an excellent location, easy walking distance to stores and restaurants in Trinidad, and commuting distance from Prairie Creek State Park and other state and national parks. The manager is very helpful. We needed help with our access code when we were out of our cell phone service area, and the manager responded to our call promptly. C Lily cottage is a small and cozy home, ideal for two, and possibly up to 2 children. It is an ideal place to stay for those either on a budget or not planning to stay inside for most of their visit. The location makes this cottage a great base point for venturing out, either by foot to explore beautiful Trinidad, or by car, as it not far to travel to various attractions and sites in the area. We thank you for choosing the C lily cottage for your vacation and hope you will visit Redwood Coast Vacation Rentals again. We had a very good stay. The cottage was clean and comfortable. We had three suggestions which we thought would be useful to know: a need for a reading lamp in the first bedroom (on the wall), a missing lampshade, and the need for a lid for the recycle bin (it blew over in high winds). Also, instructions for the use of the stove's oven would be helpful. We would definitely come back again. Thank you for the review of the C lily Cottage and for your suggestions. Guest feedback is so valuable to us, it really gives us a chance to improve. Pleased to hear you had a good stay and I hope you will be visiting us again soon. Trinidad is a great little town. Loved watching the sea lions sunbathe on the rocks. The cottage was perfect. It had everything you need to prep meals and feel comfy. Very clean and well maintained. Wish we could've stayed longer. Thank you for the review of the C lily cottage. I am glad to hear the cottage was a great little place for you. So close to everything, almost can't beat the location. Sorry you weren't able to stay longer, but I hope this means you will be back to visit us and the beautiful little town of Trinidad. We really enjoyed our stay at the C Lilly Cottage. It was cozy and cute but was just right for what we needed. It was clean an neat and has a cute little kitchen. We spent most of our time traveling the area and visiting the beach, but it was great to have a nice place to stay when we returned. I really like the town of Trinidad the people were friendly, it has fun gift shops and a nice market. The dining was good too. I would definitely recommend visiting the area and staying in a beach house. C Lily Cottage is just that, a cozy and cute place to stay while visiting the beach and redwoods. It may be small, but has just what one would need if spending their time traveling around. I am glad you enjoyed your stay here in Trinidad, and we do have good dining here. We are blesses. Thank you for your recent booking and please visit us again. Darling and quaint little cottage home!! Absolutely perfect! A small quaint little home that made you feel totally comfortable! All the amenities you would need for a family or small group. The town of Trinidad is just darling! The beaches the people the Lighthouse Grill ... everything!! We would encourage staying at this little cottage in heaven to anyone! Thank you for such a wonderful review of the C Lily cottage. It many be small, but it is cozy and perfect for visiting a beach town like Trinidad. Thank you for booking with Redwood Coast Vacation Rentals and I hope to see you again. All the details for access to the house were well explained. We found the house clean and the kitchen well equipped. For me the $80 dollar cleaning charge might have been more appropriate for a full week with lots of towel usage but everything was clean when we arrived and we left it as we found it. We enjoyed the quiet of the off season and the bathroom was roomy and clean. Thank you for the review of the C Lily Cottage. It is a cute and cozy home, definitely made for smaller groups, as you mention. I am pleased it accommodated you well and I do hope you will make it back to visit us again. Thank you so much for your stay. the property was exactly as described and suited our purposes quite well. It was clean and located in a convenient place for access to all of Trinidad. Thank you for your stay at the C Lily Cottage. I am glad it was a good fit for you while visiting beautiful Trinidad. We loved the location and size of the house. 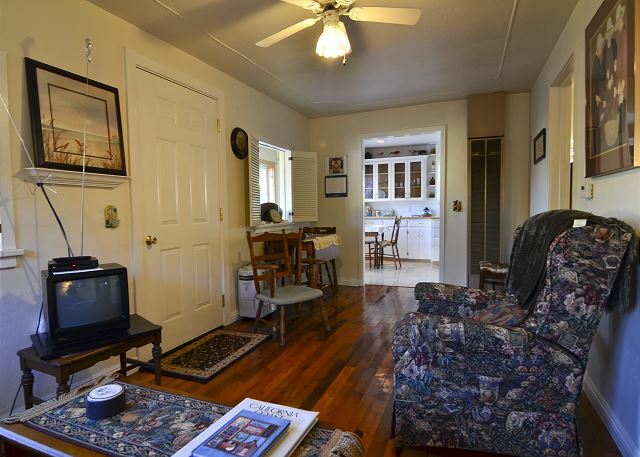 It was comfortable and clean, within easy walking distance to beach, grocery, and restaurants. The only thing missing is a washer and dryer--something you really need while at the beach. First trip to Trinidad?! Well you will need to visit more often. Trinidad is such a wonderful little town and the C Lily is in great proximity to so much of it by foot. Redwood Coast Vacation Rentals thanks you for your stay and we hope you will visit us again soon. You won't need to take everything but the kitchen sink on this vacation when you rent this immaculate beach cottage in Trinidad. The light filled kitchen has everything you need for making smoothies to souffles for a party of four or more. Trinidad is a jewel of a town too, so that your "stay-cation" can be filled everyday with local fun things to do. Not far North or South on 101 are plenty of family things to do too. (Did I say friendly casino nearby with $10 freeplay : )Provided are plenty of mags and brochures on what to do in the area ...you won't need your laptop of smart phone to look for stuff to do although there is a wireless connection. Minimal TV stations. But who came here to watch TV ?! the surrounding area is spectacularly beautiful. 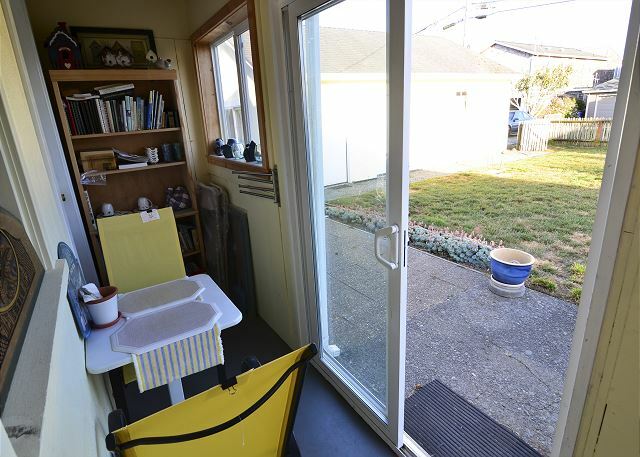 Redwood Coast has lots of great vacation rentals, but this gem is not recommended for people who need to use a walker or wheelchair due to the pea gravel walkways and small occasional steps up and down. In July we didn't need an air conditioner or heater during our whole stay. I recommend this as a romantic destination. 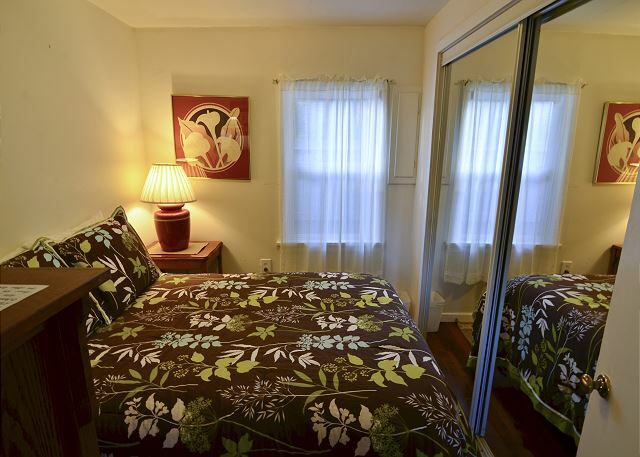 If you bring your favorite wine, music and candles, C Lily cottage provides the ambiance and queen size beds. What a wonderful review of the C Lily Cottage. Thank you Marsha! This is a charming little casual, comfortable cottage. I am so glad you enjoyed your time here and the wonderful little town of Trinidad with all it has to offer. Redwood Coast Vacation Rentals thanks you for your stay and we do hope you will return to visit us again! We had a lovely 9 day stay with Redwood Coast Vacation Rentals at "C" Lily Cottage in Trinidad in July 15. The cottage is nicely appointed and has a good kitchen and bathroom. It's location in Trinidad was perfect for us. We have stayed in several of Redwood Coast Vacation Rentals over the last 10 years and are always very happy with the service and the very nice folks who own and operate Redwood Coast Vacation Rentals. Thank you for your kind review. C Lily Cottage. We thank you for being a loyal guest of ours. We look forward to having you back again. This property is just right for a small family. My husband, 11-year-old son, and I were perfectly comfortable. This home is in hiking distance to the beach and short drives to several fantastic beach spots, not to mention the quick drive to Redwoods! We loved the quaint home and the lovely neighborhood. Not the best phone service in the town, but the wi-fi in the home made the stay more convenient. Restaurants and market nearby are perfect for a small town Redwood/beach experience. We will certainly be back! Thank you! Thank you. I am glad you enjoyed your stay at the C Lily Cottage. It is a cozy home, yet the accessibility makes it such a great place. Again, Redwood Coast Vacation Rentals thanks you for you stay and we look forward to your next return. pleasurable vacation experience. reasonably price and realistically furnished with all ones needs for vacation. Lovely location w/ access to plenty of amenities, would stay again...and again. C Lily is such a sweet little cottage and very homey. A perfect little place to stay when visiting our beautiful town of Trinidad. It has all the basic needs to feel right at home. We look forward to having you stay with us again. My family and I had a great stay in this small home by the beach. The home is small, but provides a large fenced yard that gave my children a place to play. It is close to the beach and the lighthouse. It is also walking distance to the small local eateries, coffeehouse, and market. This place is a nice place to stay if you want to get off the grid and get away from it all. In addition, it is probably best suited for guests without children as it is small with limited seating. Thank you for the great stay! Thank you for your stay at C Lily. It is a small, cozy home, but in a great location to explore Trinidad. Home you will visit us again and maybe take a look at one of our other 60 homes in the area. Very nice cottage. Great location. Easy walking to coffee, restaruants, beach. Rooms are small but clean and very cute. C Lily is a nice little home, tucked away, yet very accessible. Thank you for your stay here with Redwood Coast Vacation Rentals. We hope you will return to visit us again. Very cute and cozy cottage. Kitchen very well stocked with every thing you need. Close walk to beach. Property Management was professional and helpful. Excellent stay. C Lily is a cute cottage for those looking to explore, rather than spend time indoor, or just hang out and relax within walking distance to nearly all of Trinidad! It definitely has all the basics of what one would need. I hope you will return to us at Redwood Coast Vacation Rentals or any of our other 50 vacation rentals on the Redwood Coast and Rivers. the cottage is small but was fine for 2 people. one bedroom does not have shaded windows and is very bright, very early in the morning. the only complaint was that the previous renter's trash and recyclables were not picked up for 3 days and the critters got into into it all our first night there which left quite a mess. this could be due to the waste system in trinidad, but we couldn't leave it all over the yard and it was a mess to pick up. we would definitely stay here again though...very convenient location! Glad you had a good time at C Lily. It is quite the cute and cozy home. Thank you for bringing to may attention the bright room, I will look into finding a suitable shade. Our trash is picked up once a week, and you must have arrived right in the middle. If you stay with us again, please know that you can give us a call before garbage day, to remove any trash and/or prevent any critter mishaps. Thank you again for staying with Redwood Coast Vacation Rentals and I hope you visit us again. This is my 2nd response, lovely little cottage, clean and well stocked. Definitely would recommend and also stay again. Thank you for staying at the "C"Lily Cottage, glad you enjoyed it look forward to having you back soon to this cottage or one of our other 50 vacation homes on the redwood coast from Eureka to Crescent City & even Willow Creek on the Trinity River. 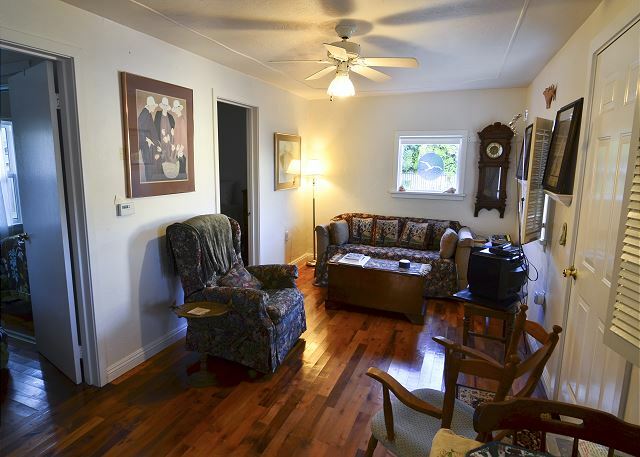 Easy to walk to locations in town of Trinidad and to drive to Redwoods National Park. House is clean and comfortable. Location was perfect! It was close to the only store in town and a short walk to the beach. Sounds like the house was good for you and yes, it is really nice walking to the beach, parks, stores, restaurants, and cafes from the house - can have a great time without getting in the car! Hope to have you back at "C" Lilly Cottage in Trinidad by Redwood Coast Vacation Rentals or one of our other more than 40 homes in Trinidad, Arcata, Eureka, Redwood National Park & now even Crescent City! Loved this cottage. Felt like we were at home. I would definitely stay there again. The only drawback was that there was not an ocean view. Very enjoyable Love the area. Hope you do come back to the "C" Lilly Cottage and our little town of Trinidad again. My Wife and I were on a trip down the pacific coast and needed a place to stop for a brief respite. We did not know anything about the area but wanted to be near the Redwood Forest. We arrived and were most pleasantly surprised to find the most beautiful area. The cottage was very clean and cozy. The beds were mostly comfortable and the shower was good. The only downside was the water was not palatable so we brushed our teeth with bottled water. We luckily had some with us and would like to have seen some provided in the full kitchen. There is not alot open late at night so if you arrive late, bring food and drink with you. However, when you awake, you will have a cool ocean breeze and plenty of sunshine to greet you and that more than makes up for the water issue. We felt at home there and plan to return again in the future. It was a dicovery well worth making! Minutes to the beach and the most gorgeous of views at the end of the road! We rated the management team as we did because all went well. We never actually met them but we found everything where they said it would be. Our stay in Trinidad was one of the best parts of our West coast adventure! Really glad our little town of Trinidad and the C Lilly Cottage were one of the best parts of your Pacific Coast Trip! This was a very tidy home with a very well supplied kitchen and thoughtful touches, like throws for the cool evenings. It should be noted that the 2 beds seem to be full beds, the mattresses were pretty lumpy and the 2 bedrooms are connected by a large pass through closet. The location was great, no view of the beach but a very easy couple minute walk. Glad you enjoyed it. We will check out the beds to see if they need replacing, or some memory foam on top. Thank you for telling us about it. We loved the C Lily Cottage! We loved the quiet location in Trinidad. It was an easy walk to the beach and to the market. The cottage was very kid friendly and my daughters loved the house. Wonderful place overall. is a shared closet with essentially no wall there between bedrooms was not our favorite to allow good rest for everyone and also overall privacy. Otherwise, wonderful place. We sure appreciated the binoculars as well. Nice touch! Thank you for the feedback. Will replace the missing wine opener. and goings:( great side yard to enjoy reading! I was so very comfortable in this little cottage...I love a quiet, private area and this was perfect...really settled in and didn't want to leave! The kitchen had everything imaginable and I loved being right in the middle of my favorite spot--TRINIDAD!! You can walk to everything, including all the trails from this cottage. Mike and Tom were extremely helpful...I'll be back! !